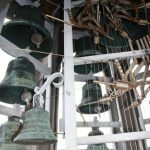 In 1967 a committee was erected to explore possibilities to install a carillon in the village of Bergen. 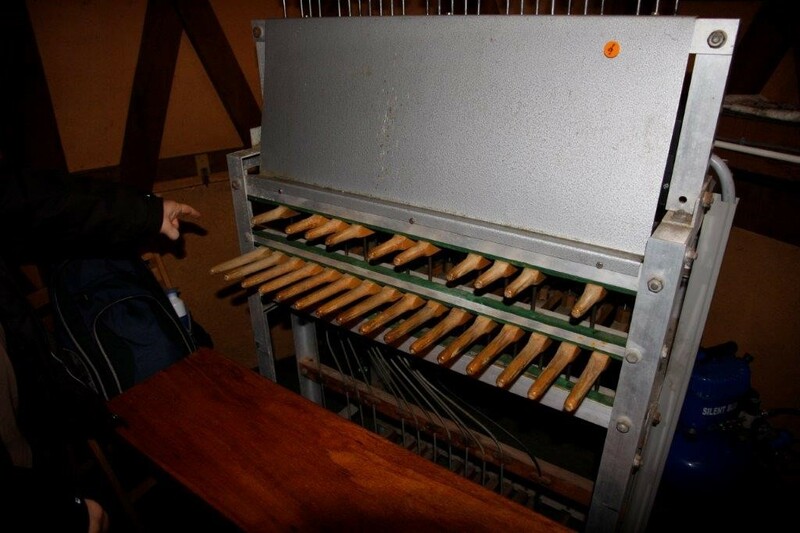 The first option was the acquisition of a Van Bergen carillon that was located in Drachten at that moment. 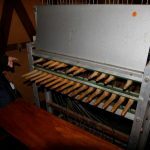 This instrument would be placed in a bell tower in the orange park in Bergen. 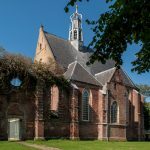 This plan could not be carried out and the decision was made to install a new instrument in the roof turret of the so-called Ruïnekerk. 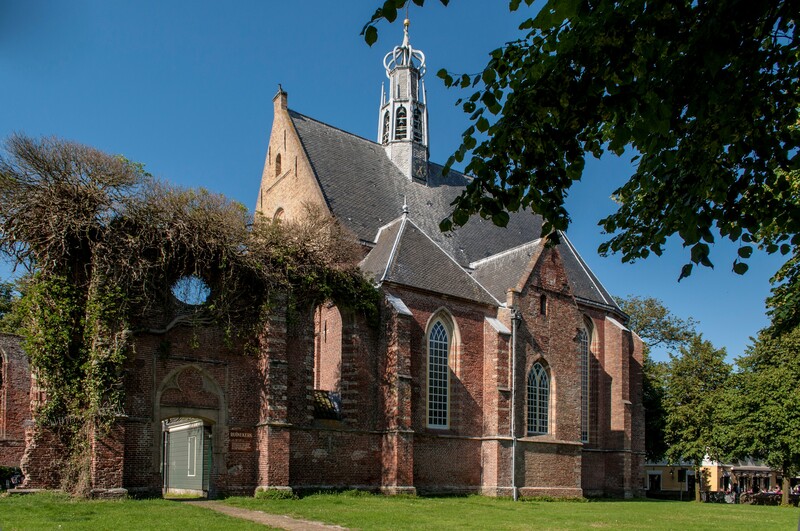 After the church was destroyed in 1574 during the Siege of Alkmaar, it was rebuilt, but some parts of the original nave are still preserved as a ruin. Because of the small size of the roof turret, only a two-octave carillon could be installed. The committee developed various activities, such as a lottery, and achieved half of the required budget; the municipality provided the remainder. The order for the bells was given to the Petit & Fritsen bell foundry. The committee gave a special mission to the instrument. The 26 bells are dedicated to 250 soldiers from the UK, Canada, Australia, New Zealand, Poland and Czechoslovakia who rest at Bergen General Cemetery. Bells n° 2 to n° 25 bear, in alphabetical order, the names of 216 soldiers and the smallest bell bears the inscription ‘34 gevallenen, alleen bij God bekend’ (34 fallen, known unto God). In addition, a 27th bell was placed in the tower, without a clapper and with a bottom. It contains a capsule with a plan of the carillon, the names of the donors and a call towards future generations to maintain the carillon. 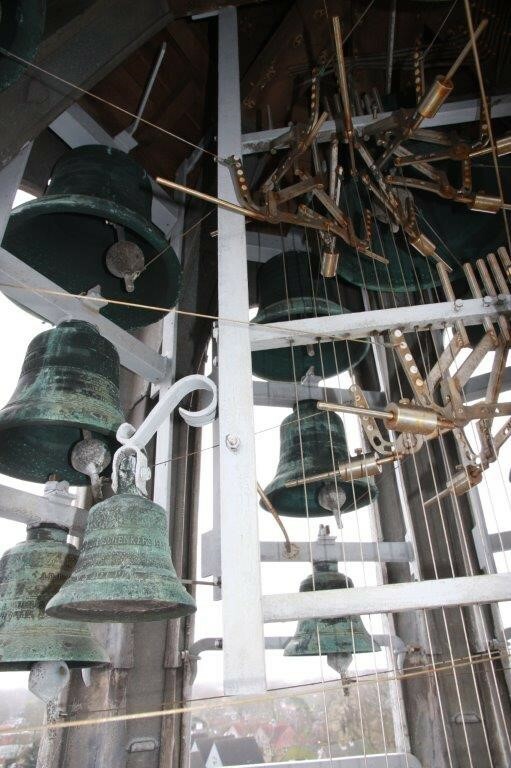 The small but sonorous carillon was inaugurated on 5 May 1970, 25 years after the liberation of the Netherlands. 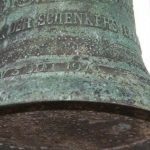 This website gives an overview and description of the war memorial and peace carillons in the world. We hope that they will continue to sound for the sake of peace and that this website will amplify their voices.